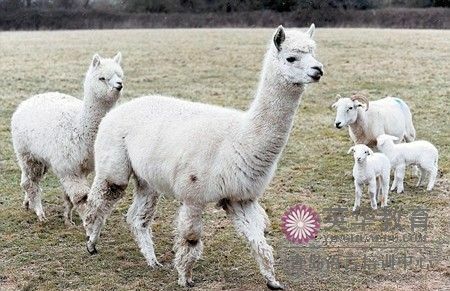 A family of alpacas have been brought in to patrol a farm to protect newborn lambs from the jaws of hungry foxes. The 5ft-tall animals are keeping a watchful eye over the spring lambs to prevent them being snatched from the field by the predators. Part-time farmers Janet Spiller and Teresa Hopkins keep the Wiltshire Horn sheep as a hobby in the village of Hurst, near Wokingham, Berkshire. So far 10 lambs have been born and are being happily watched over by their South American guardians. Ms Spiller, a countryside service administrator, said: 'Foxes are a real danger to young lambs, snatching them away to eat. So when lambing was due we borrowed our friend's four alpacas to act as guards while the lambs are young. It's part of alpaca's herd instinct to protect youngsters. They instinctively chase off dogs and foxes and it has meant we have had one less thing to worry about. She added the alpacas had been known to chase and trample foxes to death. 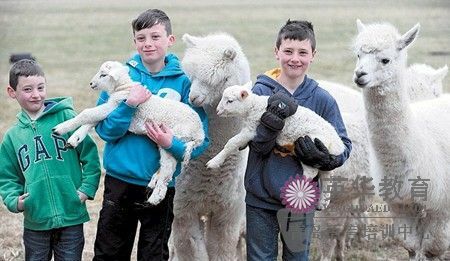 The herd will be returned to their owner Nikki Girdler, a teaching assistant, when the lambs are big enough to fend for themselves.